I sprite a lot of Dragon Ball Z stuff - mainly in the style of Jump Ultimate Stars. Enjoy what I have to offer. And with that, my favorite fusion returns! Original image is a screenshot from the trailer. By Zeno, I'm hyped. 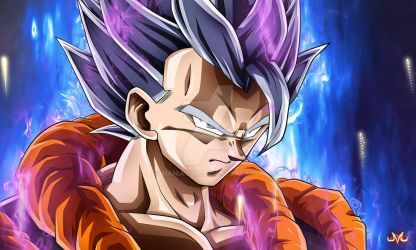 So apparently we've got a new LR Goku coming. His name seems to be somewhat along the lines of "The most courage!! 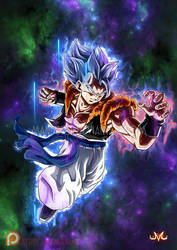 Son Goku". Of course, Google Translate can be rather unreliable, but still...He looks quite similar to LR PHY Kid Gohan. 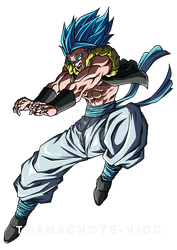 With the new Category stages of Super Battle Road coming out, he could possibly be a new reward. Didn't think they'd bring back EVERY SINGLE CHARACTER from previous Smash games. Can't wait to main Pokemon Trainer, Wolf, Roy, Mario, everyone I've fought alongside since the very beginning. Was checking out the new PHY Future Gohan on Dokkan Battle. Noticed his pose looks quite familiar. P.S. 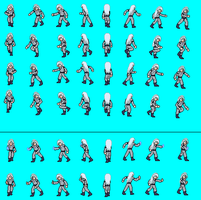 Am working on some actual sprite stuff. Will upload it in the near future. That's right. 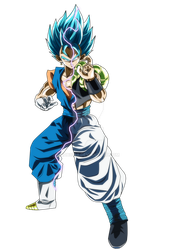 The father of Goku and Raditz is coming soon. Wonder what PHY team he'll shine on. Thank you very much, dude! I'd like to show you some stuff. Nicely done. Just needs a bit more work and it'll be way better. My sprite Artist got into a Dispute with me, and abuptly Quit. The mod is still ongoing. Isthere a way I can talk you into shading and fixing up these sprites so I can Finalize them? Is there anything I can do to get you to help me finish Burai's Sprite sheet for Hexen? I have him mostly functional sans a few bugs. Do you take Sprite art requests?